Posted on Mar 21, 2013 by Appleton Downtown Inc.
On Tuesday, March 26th at 10:15 Bellybeans is hosting a local author book reading and signing event! 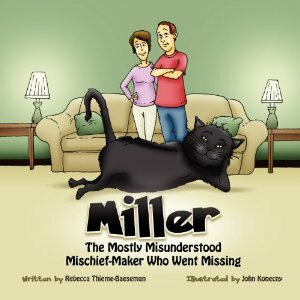 Rebecca Thieme-Baeseman will be sharing her first published book Miller The Mostly Misunderstood Miscief-Maker Who Went Missing. Join us at Bellybeans, 103 E. College Ave.